A little guide to my tutorials: anything bolded is a menu, anything italicized is a value, anything bolded and italicized is a tool, anything bold and green is a dialog, and anything underlined is a selection you will need to click in a menu. Make sure the image has a white background before your start. 2. 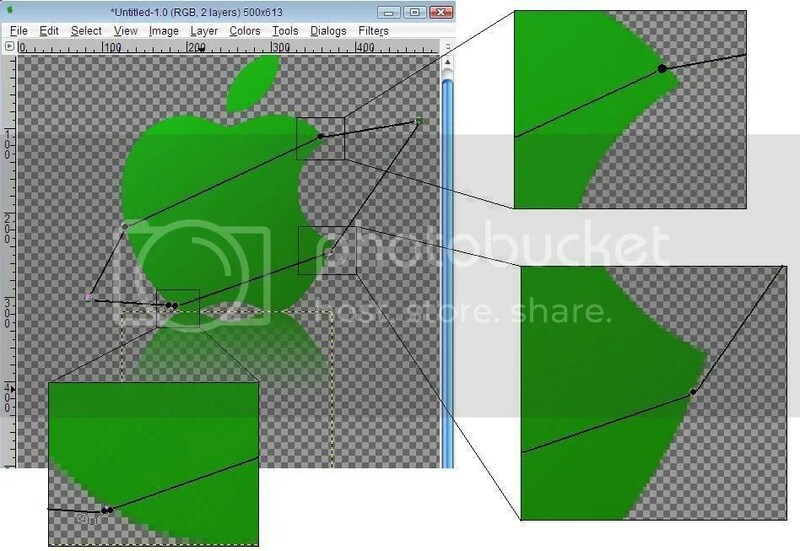 Make sure you have the downloaded file from above, and go to File>Open as Layers and choose the picture as the file. 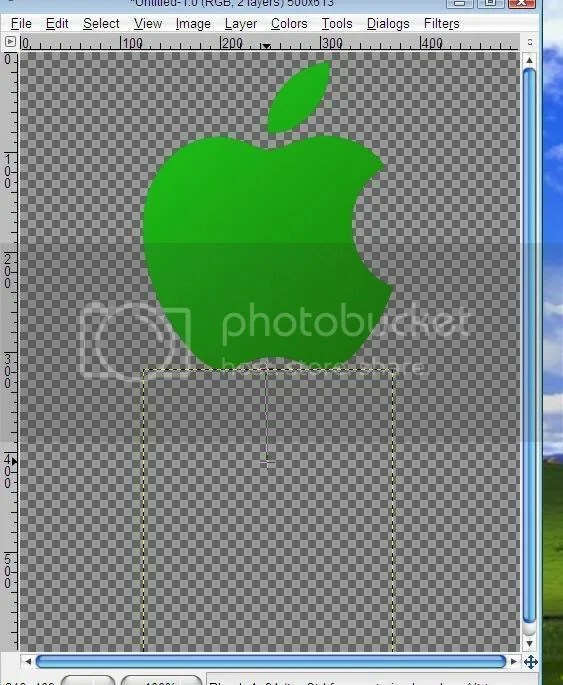 It will be oddly oversized, so make sure you scale the layer: Layer>Scale Layer. 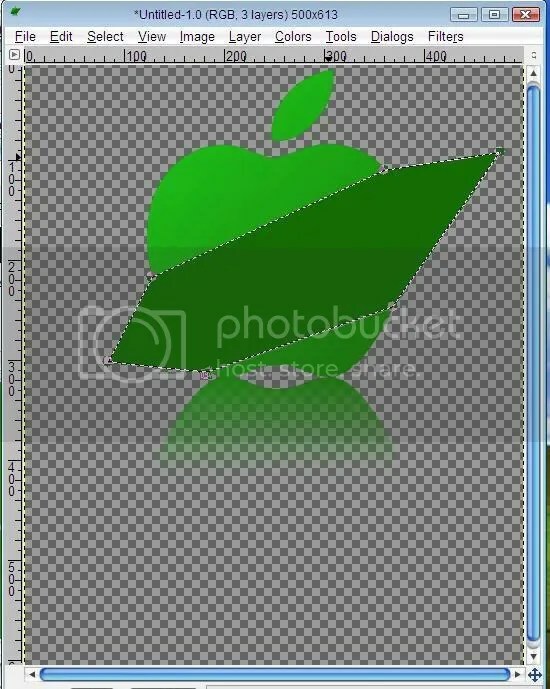 Set values to 500 x 613. Press OK, and the background will not change. 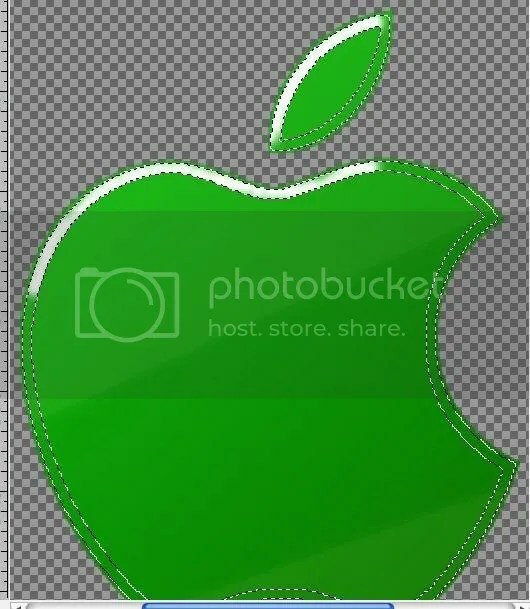 In the Layers Dialog, delete the background layer (white layer), and you will have transparency behind your apple logo. 3a. 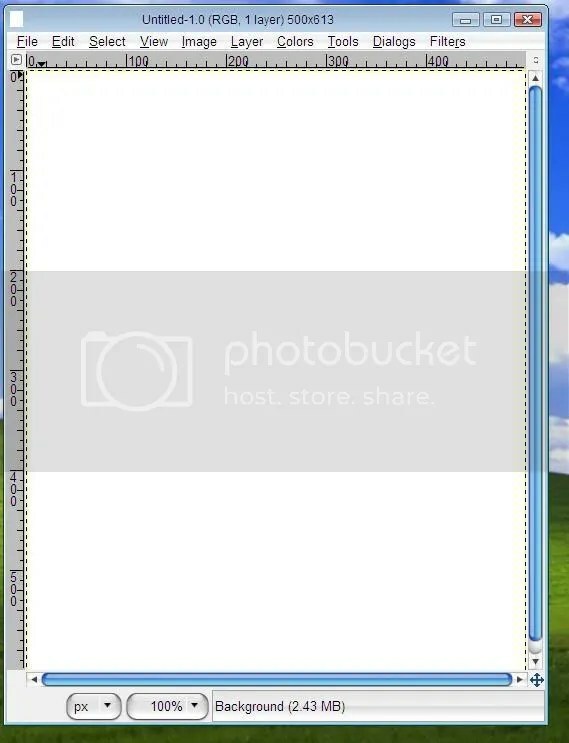 In the Layers dialog, right click on the image, and click Alpha to Selection. 5. 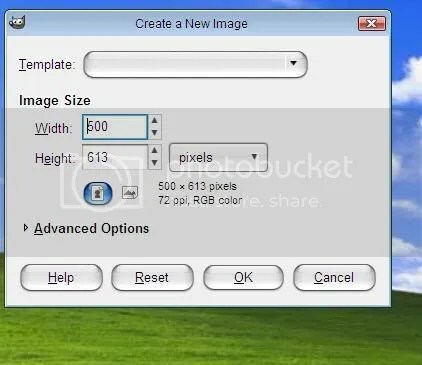 Resize the layer to 50% of its original size. 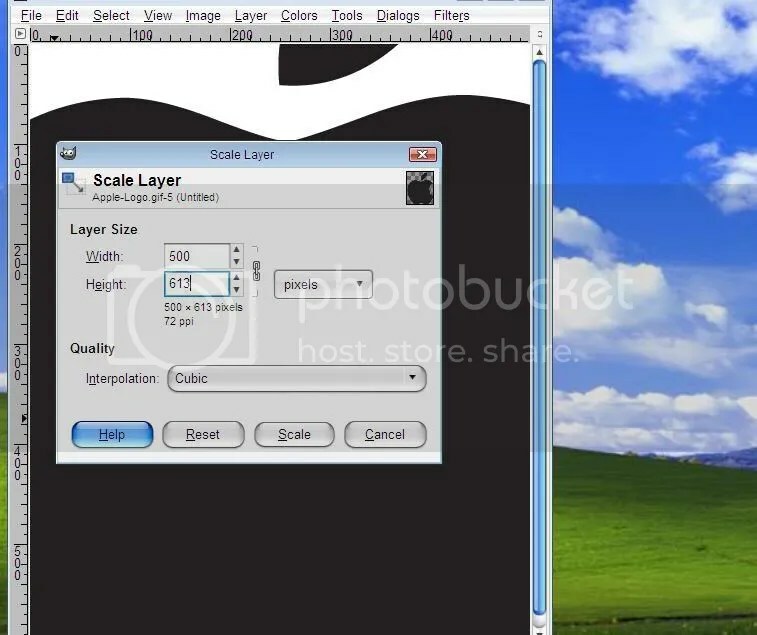 Go to Layer>Scale Layer and set the values to 50.00 on both. 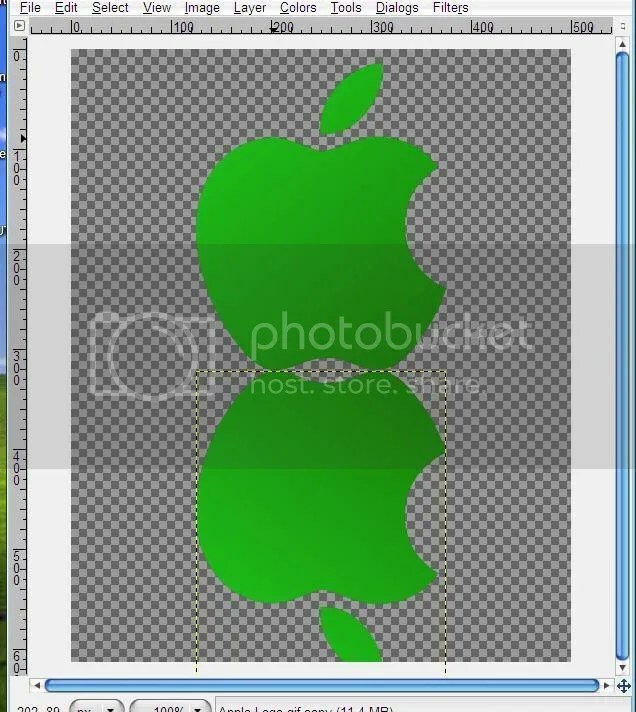 Sometimes, the second may default to 50.08, but it’s OK. Press OK, and move the layer towards the top of the image. A. 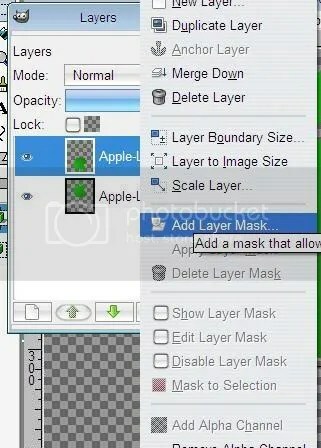 Duplicate the layer by going to Layer>Duplicate Layer. 7. Press D, then X to set the foreground and background colors to default. 9. When the window pops up, choose Black (Full Transparency). 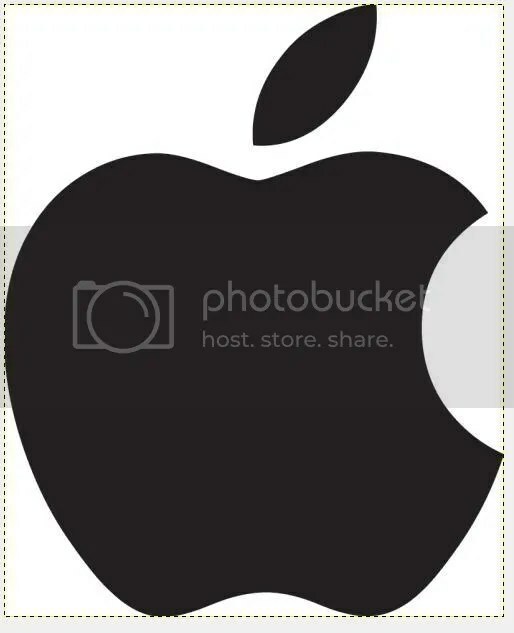 The bottom apple logo will disappear. 11. Create a new layer and name it “darkness,” and break out the Paths tool (B). Draw a path as shown in the picture below (sorry, the conversion to JPG made it a little blurry, so I’ve outlined the paths with black lines :)). As you notice, the path doesnt have to follow the curves on the outside because of later modifications. 12. PRESS ENTER to turn the path into a selection. Here comes the complicated part. Read these next steps carefully. B. 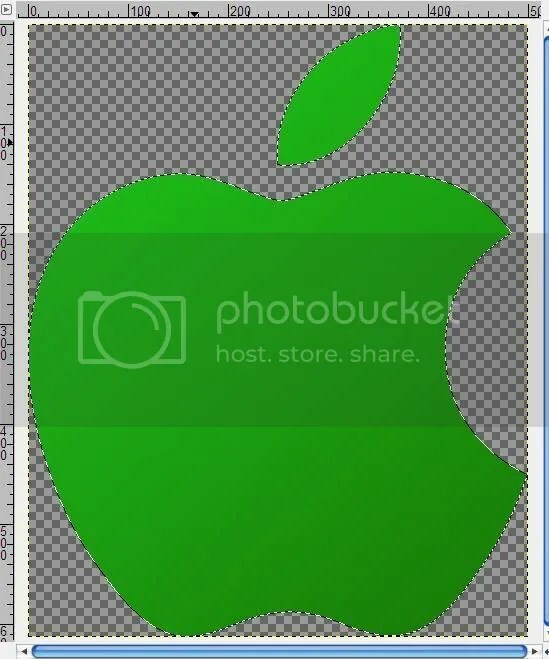 Make sure your “darkness” layer is selected, and go to Edit>Fill with FG Color. 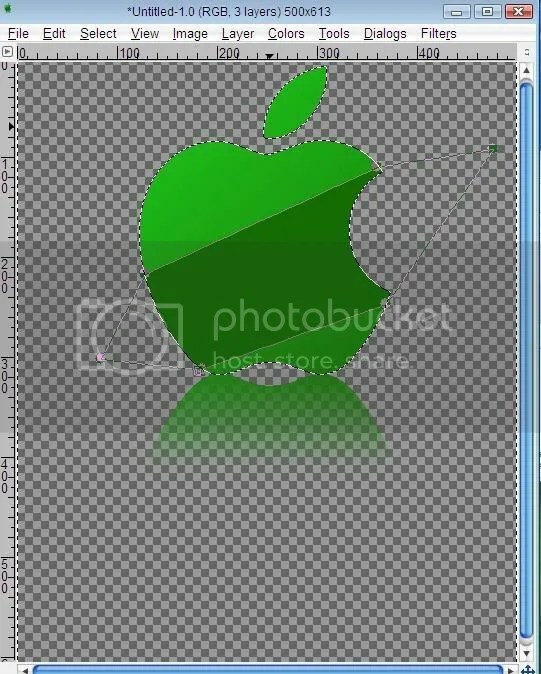 C. Now, go to Filters>Blur>Gaussian Blur and set the values to 10 on both X and Y.
D. In the Layers Dialog, right click on the original apple logo (the one that is not masked) and click Alpha to Selection. 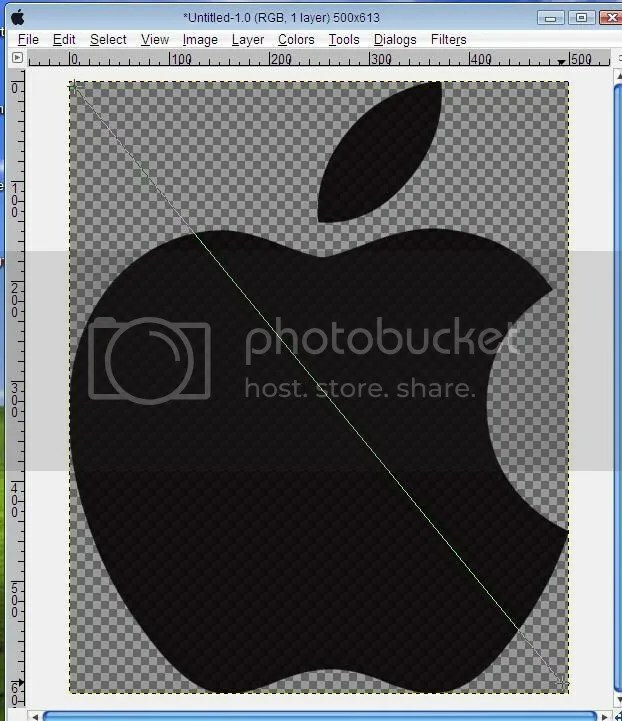 E. RESELECT the “darkness” layer and go to the image window. Go to Select>Invert, or press Ctrl+I. F. Now, press Delete, or go to Edit>Clear. 13. 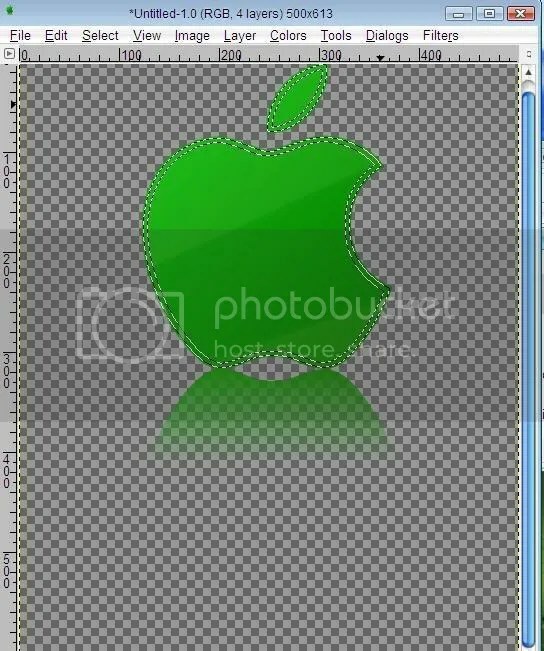 Now, set the “darkness” layer into Overlay mode, and set the Opacity to 80. This next part is totally optional. We are making the white highlights. 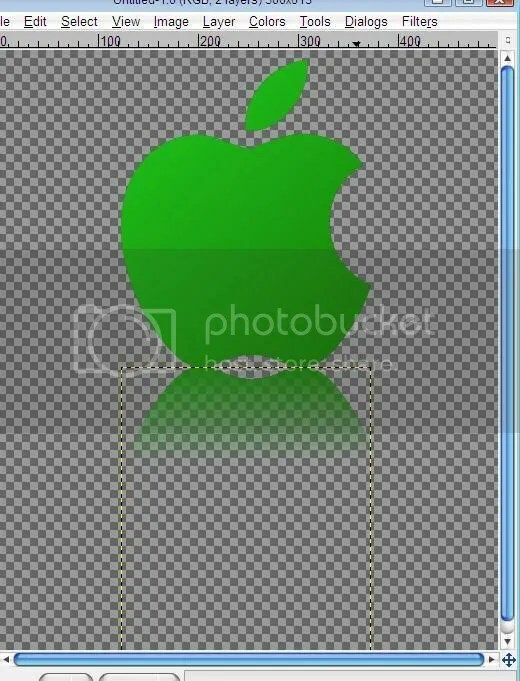 The logo still looks cool without the highlights, but better with them. 15. 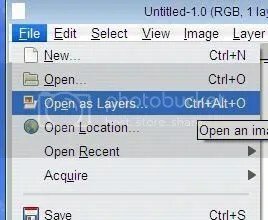 In the Layers dialog, right click on the original logo and click Alpha to Selection. 16. Reactivate the “highlights” layer, and go to Select>Shrink and use 3 as the value. 17. Now, go to Select>Border and set the value to 2. 18. Now, grab a fuzzy brush, and change your foreground color to white (FFFFFF). The “Circle Fuzzy (19)” brush is recommended. 20. Deselect all, and do some extra fill ins wherever pleased to make more fuzzy edges. 21. 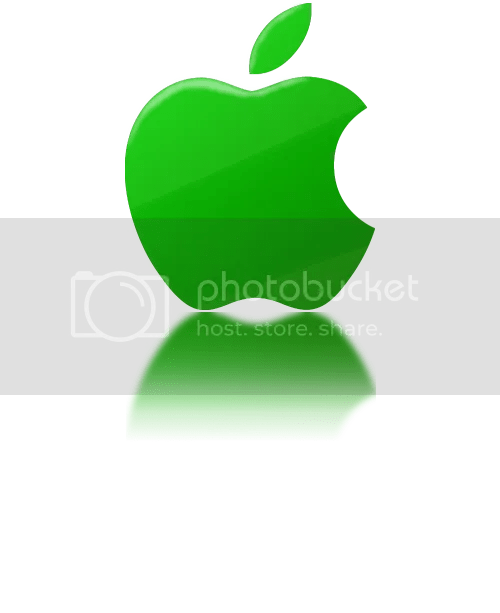 Go to Filters>Blur>Gaussian Blur and set it to 10 on both X and Y. 22. Finally, in the Layers Dialog, set the opacity of the “highlights” layer to 50.